“They were AWESOME! Very professional, courteous and flexible! I am going to highly recommend you and your crew! “Hi Stan, We were very satisfied. Service and assembly were wonderful. First off, to say your responsiveness was excellent would be the understatement of the century. Thank you for getting back to me so quickly on everything and working with me when my delivery was delayed. The assembly team was excellent as well. 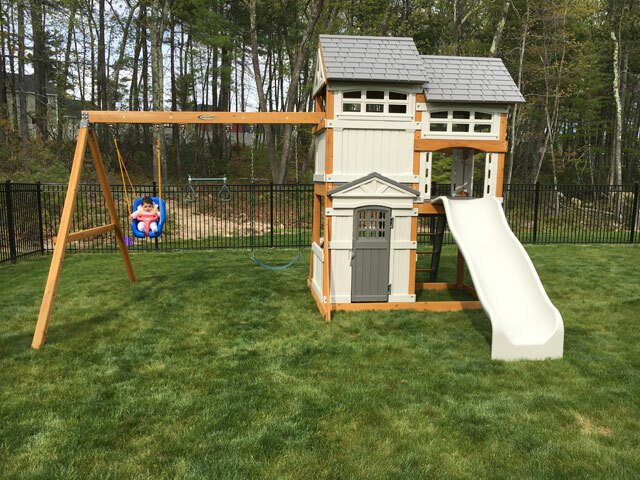 That playset would have taken me roughly 6 months to assemble on my own and likely would have ended my marriage. They did it in 8 hours and I remain happily married. I would call that the proverbial win/win. 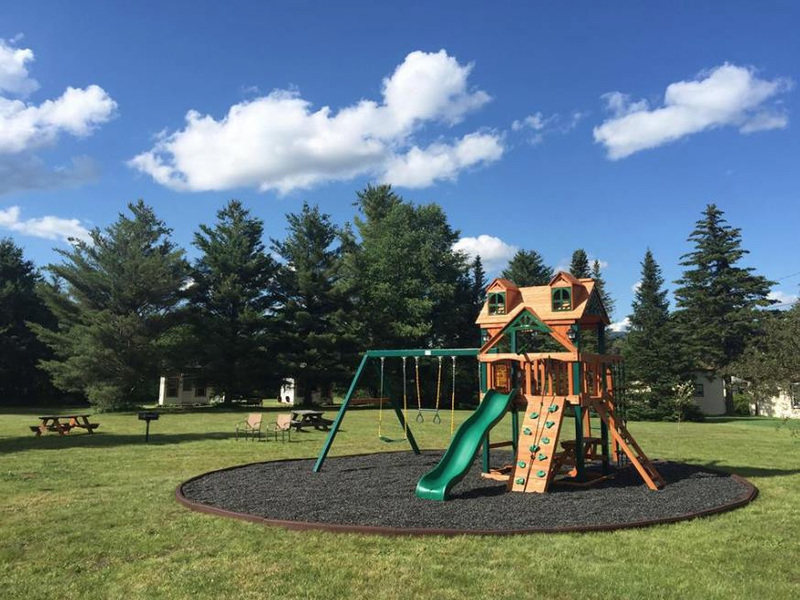 “I’m happy to tell you our entire family is very pleased with the efficient and conscientious work of your assembly crew. 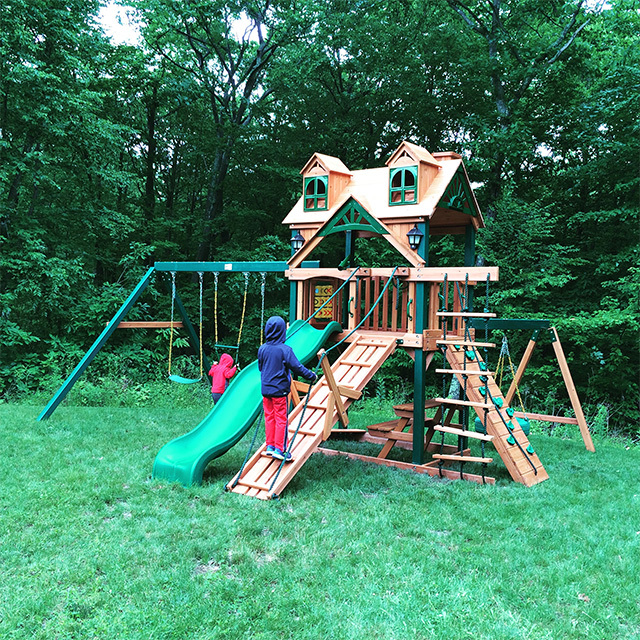 Despite the chilly on and off drizzle and rain during the assembly of our Gorilla Treasure Trove playscape, your crew was hard at work from 7 a.m. until the assembly was complete and the job-site cleaned up earlier than anticipated that afternoon. 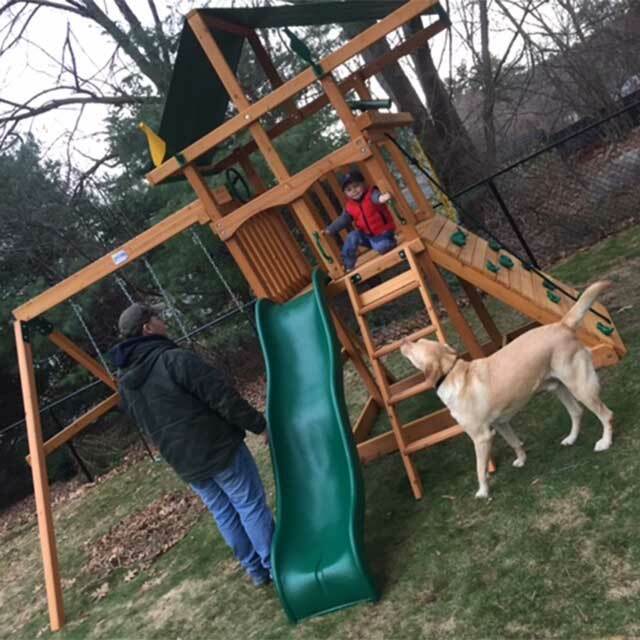 After 2 weeks of a complete and utter screw up by an online retailer’s assembly services – I reached out to Stan at New England Playset and told him we were in need of assembly ASAP in time for our son’s birthday. He set us up (on a holiday weekend) for assembly within days and I couldn’t have asked for faster response time. Carl and Doris still came and worked for hours in the rain! They could have canceled but didn’t want us to have to wait for a couple weeks because they were booked. We are so thankful to Stan and his team. 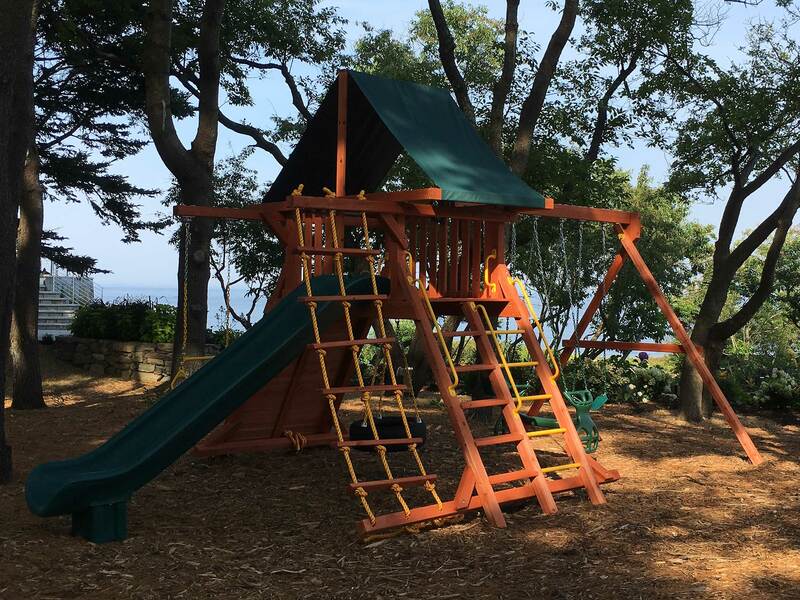 They are professional, efficient, courteous, hard-working, fast working and we now have an awesome playscape! 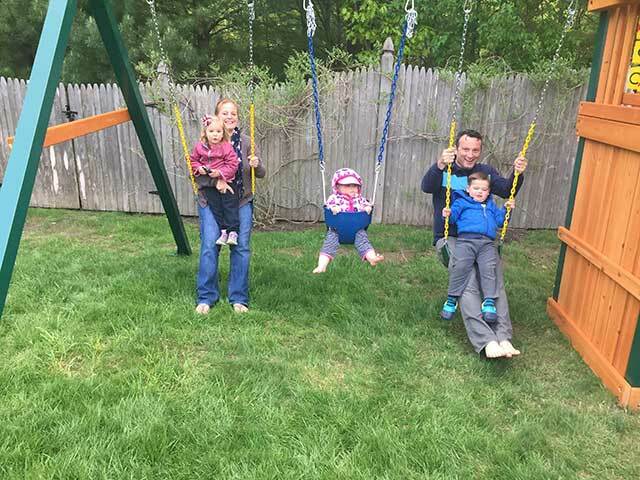 I have been meaning to write to you for months now…Your team assembled a swing set for us back in April. I was so impressed with how hard working they were, how quickly they were able to assemble the set and the quality of work. Best decision to hire your company! 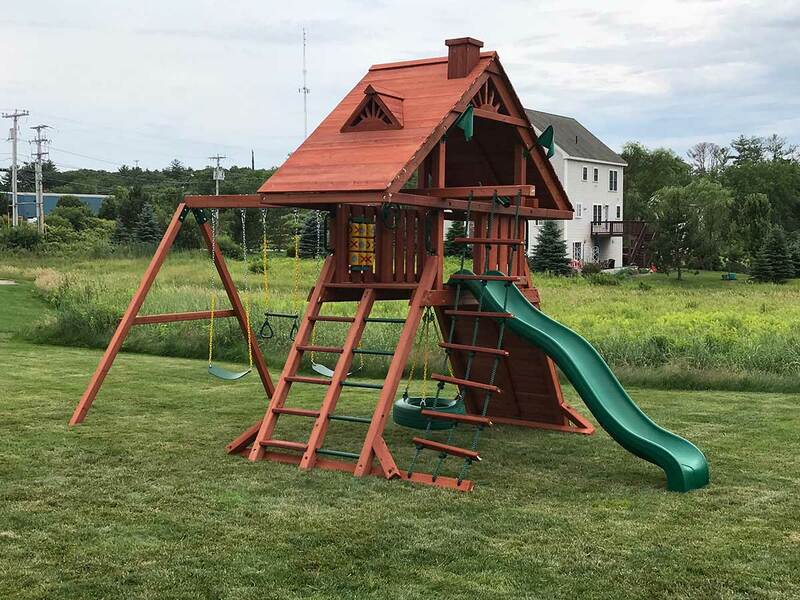 I found New England Playset Assembly incredible to work with. Stan was responsive and very quick to put us in his schedule. Carl and his team installed things neatly and with care despite the many challenges he had with missing parts. 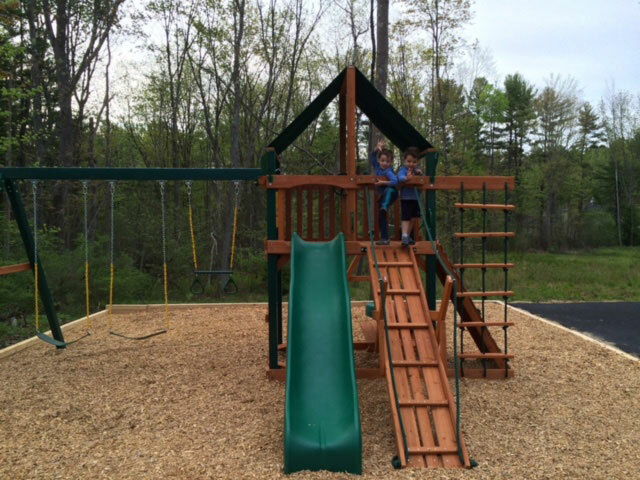 Not once did Carl complain or have a negative attitude…he just wanted to come up with solutions to get the playset up for us! 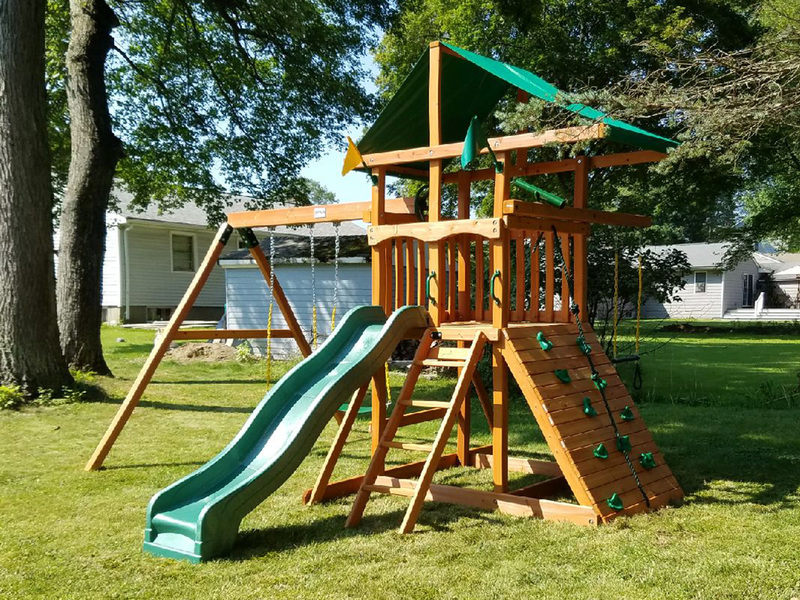 You don’t find people in the business like this and I would absolutely have them back to maintain my set and would recommend them to other people who are in need of playset installation. 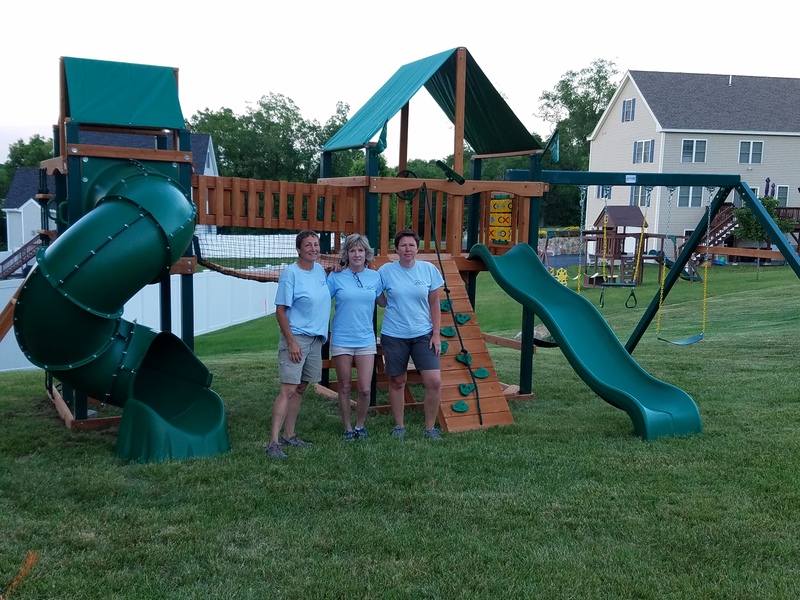 THANK YOU so much for putting our kid’s play structure together!! This has been something we have wanted for a long time and was finally able to make it happen but could not have put it together without you. It looks great and you were such a pleasure to have here. Tracy arrived early and was great. 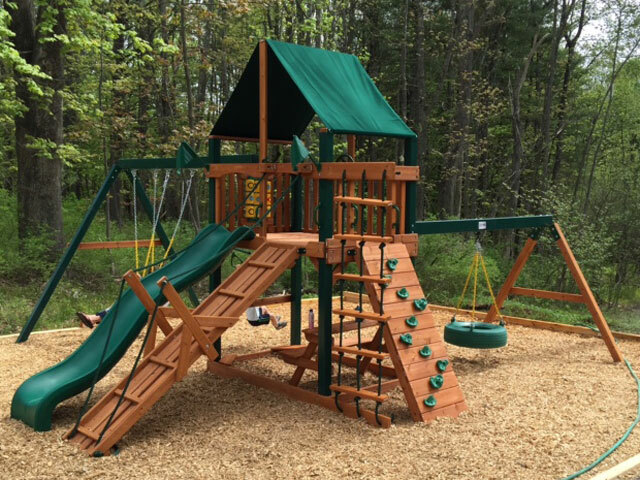 He walked us through the install process, let us know what he needed ( access to an outlet, the preferred location of swing set). Tracy worked all day and was very friendly to our curious 2-year-old. 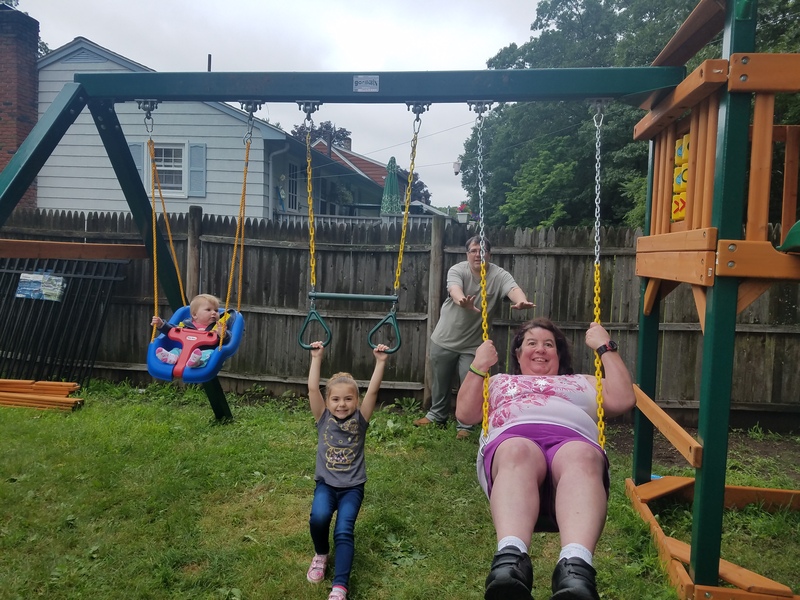 Tracy was personable and knowledgeable of the swing set. At the end of the day, Tracy cleared all the garbage and brought it to the dump himself. 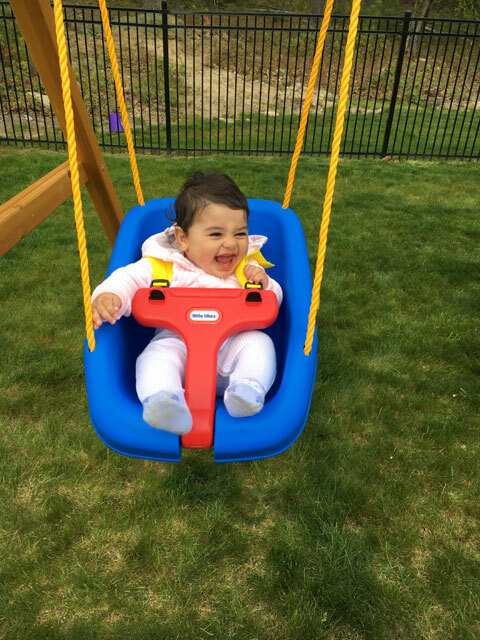 He walked us through the proper maintenance of the swing set.